I love Dooku, he's a great addition, but he's a bit powerful for game balance. It also seems like some of the light side heroes have seen some nerfing. Lando used to be great, now is gun has the same power as Leia's. The dark side has some great villains and they were fine before, but adding Dooku who is a bit buffed for his own good has thrown the balance off in H v V.
The balance in HvV has been gone a long time ago.......it was closer to being balanced back before they added Grievous. Now the lightside has a far smaller chance of winning compared to the darkside. Boba got a massive jetpack speed boost which was really needed for GA with all the people that could easily shoot you. The problem now though is that since the blaster heros weren't given an increase distance to hit targets & an increase to their bullet speed so their blaster bolts can travel faster to the target, whenever Boba goes beyond 10-15 character lengths away from a blaster hero they have a 0% chance of hitting him. Again this is due to the fact that boba moves to quickly, so you would have to super lead your target to hit him and he gets to quickly out of range, so that your blaster shots disappear before they even get to the target. Believe me I have a lot of experience with shooting boba out of the sky as all of the blaster heros in HvV. This basically makes it impossible to hit boba at medium distances in HvV maps you can still see him easily, but you can't hit him because he's out of range or moving to fast to hit. They need fix the two things I mentioned for blaster heros and then to compensate Boba.....only allow hero abilities to knock him out of the sky. The other main problem right now is that General Grievous is literally impossible to stop by just lightsaber attacking and blocking him from the front......you have to use multiple special abilities on him in order to kill him. I hope that they address this problem more with lightsaber combat changes coming this month,but we will see. What happens is if you are any jedi character you can't attack a decent grievous from the front with standard lightsaber attacks. Grievous has nearly unlimited stamina compared to the amount of stamina the rest of the jedi characters have. Even when rey activates insight to get unlimited stamina you still can't attack grievous from the front because he doesn't stumble when you perfectly block his attack and can quickly block in return. Also the jedi characters right now do stumble when they are perfectly blocked so grievous can easily do damage to you without you doing any damage to him with just standard lightsaber attacks. This is where the problem lies, he can block-strike-block-strike attack you until you are dead, but you can't do the same to him with ANY JEDI character.....you have to use a special to allow you to lightsaber attack him. The only time standard lightsaber attacks work on grievous is if all four characters are attacking him from the front at once to deplete his stamina really fast and they are pushing him away from a corner..... if he gets to a corner he can activate unrelenting advance and stop all of you from standard attacking him. The only way to stop him at this point is to again use a special attack on him. If you haven't figure this out now then now you know, the only way to kill grievous is if you rely more on your special attacks and occasionally get a few hits on him when he is down or not expecting it from behind. Dooku really isn't that big of a problem right now he doesn't get that much stamina even with max star cards to help. He doesn't have a lock on lunge for his standard lightsaber attack, like all the rest of the jedi & sith. He is kind of like yoda where he has limited lunge on his standard attack, he has a slightly high animation time that allows people to dodge or run away before you have hit them, and also you have to constantly keep your aimer right on the player in order for the minimal reach that the character has to actually hit the enemy. In comparison most of the other characters can lunge lock onto the enemy and close the gap. In addition the duelist ability isn't really working because if you jump, dodge, run right after activating the attack.....which is always the next thing that you have to do while playing as Dooku to get close to anyone, then the ability get's deactivated. So you can't really attack as fast as your suppose to be able to attack. The jedi characters can lunge attack you at the same time you dodge and it seems that they get pulled close to you still and just get diminished damage instead of it canceling the attack. it's rally strange, but if you play Dooku a lot you will notice an issue with this and when he dodge a lot before people attack him. It happens a lot with Rey and Luke attacking him. THey get pulled with Dooku because of the mechnics of the lunge lock on Dooku whenever Dooku perfectly dodges luke's or rey's lightsaber attack. If you want to defeat Dooku easily just use a blaster character like: Chewy, Han, Lando, or even Leia. Dooku has to get super close to be able to attack and he attacks you super slow from the front, which gives you the oppurtunity to you just shoot him in the face and kill him before he kills you. Believe me, I have done it many times myself and I also know how hard you have to work to get close to those blaster characters if they are decent to be able to kill them without dying. To add to the problem they nerfed chewy's shock and duration of his overheat. During the time that his shock was known to have bugs and cause the shocked duration to be longer than was allowed even with star cards. It use to shock maul and Grievous longer than was suppose to be allowed because of a bug.....yet they nerfed the ability anyway along with his over heat. I could see decreasing shock time slightly, but overheat time shouldn't have been reduced too. They didn't really buff any of the lightside characters to compensate or nerf kylo's freeze ability either to compensate. It was to just to appease the players that sucked as the sith lords and couldn't figure out how to hit chewy during a time when the game was bugged to help chewy out more. Now they are looking to decrease the shock abilities even more, which is again to appeaze the complainers that don't know how to block/cancel /reduce the effect of the stuns. This is going to probably nerf Lando and chewy into oblivion and make them no longer viable. At that point it wont be viable to even use the blaster heros anymore except for Han. The blaster heros work really well together and can steamroll the lightside if they all stick together and work together; however, with these changes they are planning on making it will just convince all the new people to quit the lightside earlier or more often halfway through the game leaving the rest of the team hanging, or for most everyone to just stick with the more powerful jedi characters. Why would use Lando at all now if you can't stun the sith lords long enough to kill them and their high health pools, while the rest of your team is running around as jedi's trying to chase maul or Boba. Great work dice you literally don't know how to balance anything. If I were balancing this game I would add a mini-game for just hero characters to break free of stuns sooner, like vader's force choke use to have to allow people to break free a little sooner. That way Kylo's freeze can still affect standard characters for a while and he can still attack them all if he froze them all too(Kylo also needs his original frenzy back....the one that worked). In this mini-game gives heros a chance to break free of the attack sooner in HvV & GA, without destroying the hero's balancing in GA against standard characters. IT'S SO OBVIOUS AND SIMPLE DICE YET YOU CAN'T SEEM TO SEE IT! The other MAJOR problem is that the matchmaking in this game is designed to guarantee that you lose after winning so many rounds to allow the other side the chance to win. Dice doesn't want people to quit playing the game altogether because they accidentally get put on teams that keep losing(understandable....but it also means that the game determines who wins instead of the team). This is why I have stopped playing GA because it's so linear and the game fails so many times now because you were placed on the losing team, rather than letting the game play be based on "balanced" teams and the better team using teamwork, tactics, and out maneuvering other players. So you could be experiencing this too when someone is playing with Dooku. It use to be every third round you would be shifted to a team that was going to lose the game and it was pretty obvious the game was doing this with matchmaking. Now with a server side update it seems to be a little more random, like every 2-5th game you are shifted to a losing team. Within the first few minutes of the game you can easily tell if you are going to lose whether it be in GA or HvV. In HvV you can tell by about 7/10 targets remaining or in GA after your team has died lost about 30 units you can start to see the Kill ratios and from there you can figure it out. Every game goes exactly like this and it's really hurt the game. It's really rare in this game that you will swing from losing to winning in either GA or HvV. It does happen, but again it's rare because of the way matchmaking is setup. If they would focus on balancing the teams more then I'm sure we would get closer games that are more intense and we would see more swing games. By himself, he's no more powerful than Darth Vader or Grievous. A good Obi-wan or Luke player can kill him. A well-trained Yoda player can devastate Dooku. Lando can stun and kill him. However, I do agree that he upsets the balance of the game on a good dark side team consisting of 4 LS users or 3 LS users and Boba Fett /Iden/Palpatine. 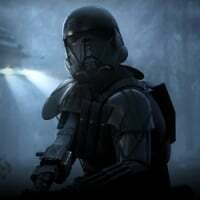 Regarding the stun duration, Iden's stun was already nerfed making moving her from a top tier character to tier 2 or 3. If they nerf her stun, she won't be viable in any game mode. That literally keeps her alive.